White tea from China. 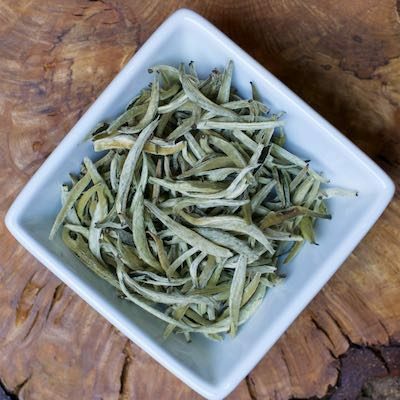 Silver Needle is among the most revered of Chinese teas, produced in the Fuding and Zhenhe districts of Fujian province. Gathered only in the few days of early spring, the preparation of this tea is governed by strict requirements to ensure a premium product. This dedication to perfection is evident in the cup, which is sweet and delicate with a clean, airy fragrance. Our ‘Sublime Needle’ is a Special Grade (Bai Hao) version of this exquisite tea.